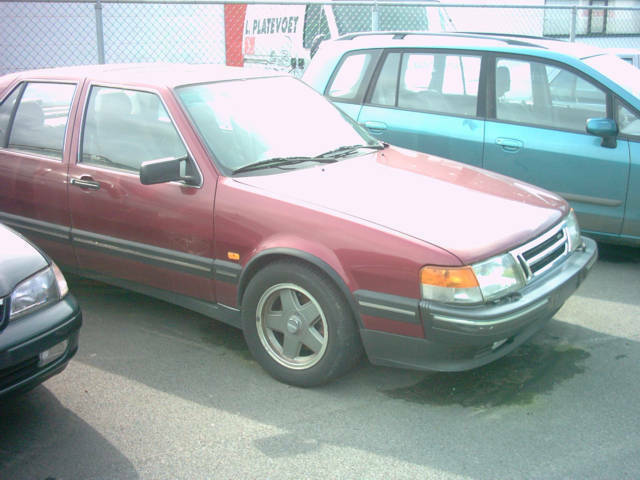 Hi, I'm PoPoL, living in Belgium, owned a Saab 90 in the '80's and on the lookout for a 'good Swede' ever since ... 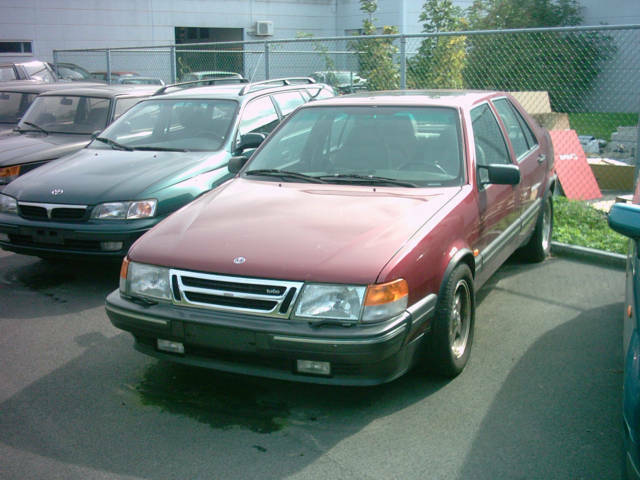 When visiting my local Mazda / Saab dealer the other day, I noticed this somewhat neglected looking 9000 in the backyard, among some 'other' old bangers. On closer inspection, the dark wet patch under the car didn't look too encouraging, until it turned out to be... moss. 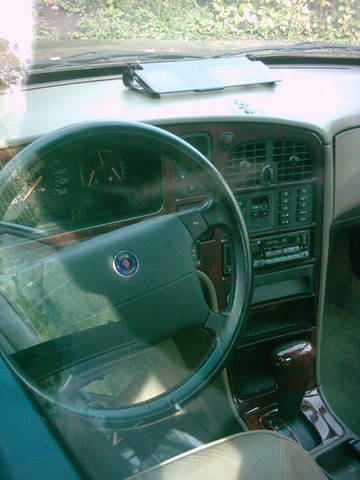 ... a stunning dashboard -or need I say 'cockpit'- with an odometer reading only... 97000... kilometers! (just a breeze over 60,000 Miles!!!) 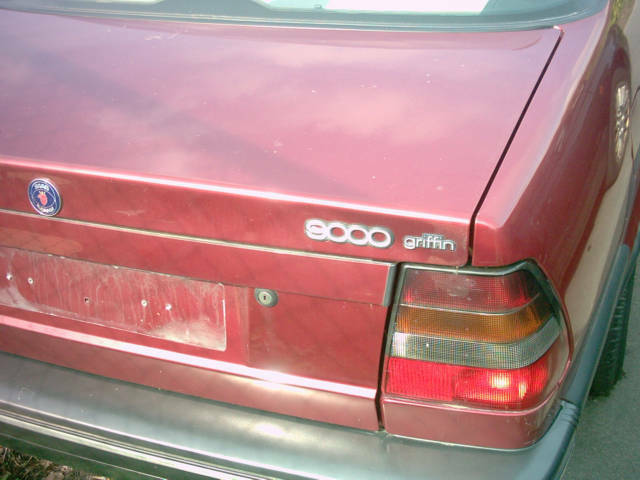 This december 1992 Saab 9000 Griffin turned out to be the proverbial needle in a haystack, as it is a 'one owner from new' The (now deceased) elderly gentleman who owned it previously had bought the car at this very dealer, where it had been serviced punctually, with no expenses spared for the following 15 years. 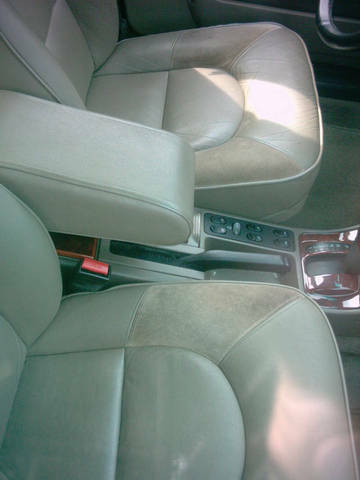 The poor an died of cancer in januari this year, and the car had been brought to the dealer to sell. It has been standing there for over eight months now, collecting dust and moss. I am now in the process of negotiating with the widow, to buy this hidden pearl and give it a second life.